The retro 70’s flower design is back. Orla Kiely’s 70’s Flower Oval design has new additions. 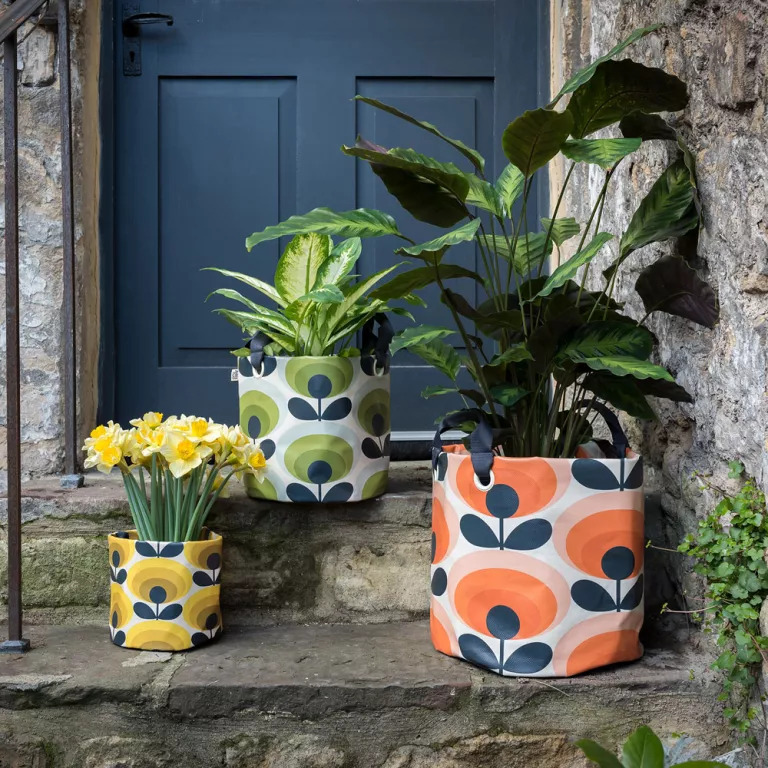 This beautifully colourful range includes hanging plant pots, herb pots and fabric plant bags as well as enamel mugs and plates. You can get these fabric Plant bags in 3 different sizes, small, medium and large. Could be used as a general storage bag around the home. Three ceramic pot on a tray. 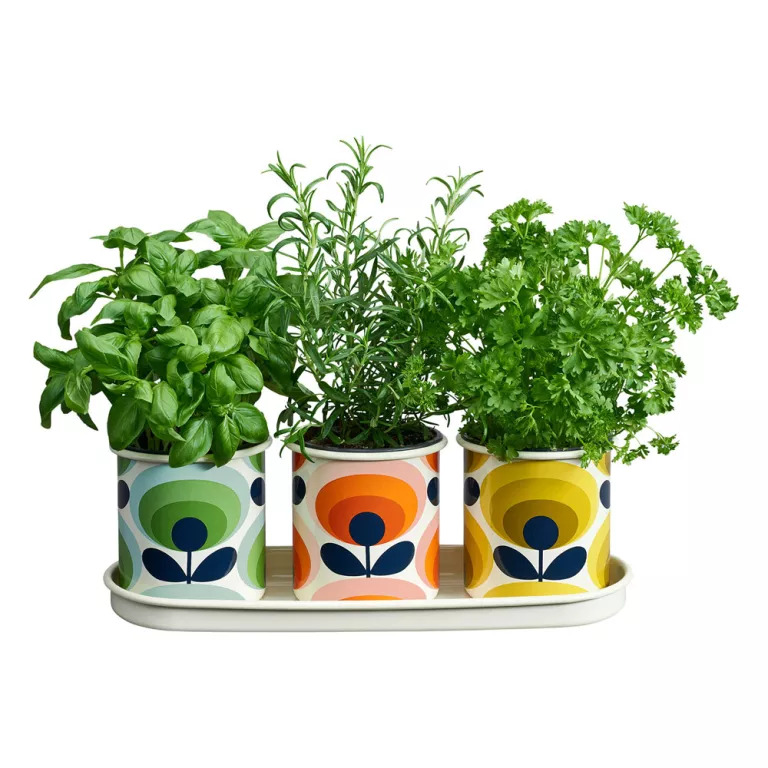 Great for herbs and small plants. Lovely on a kitchen windowsill or in a garden. These Hanging Plant Pots are available in 2 prints and sizes. Suitable indoor and outdoor use. Just beautiful! Marimekko Teapots	These caught my eye! A small percentage of sales through some links on this blog may be paid to me. These links are always indicated by ‘[AD]’ placed before the link, except in the case of products in the shop that are sold on Amazon. Lemons, gin and the girls! Subscribe to my occasional newsletter for information about special offers and other interesting news.